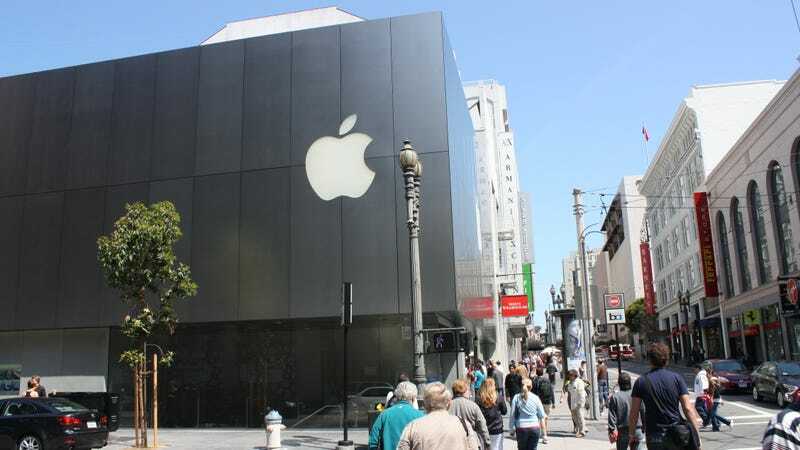 Apple and Google have rerouted shuttle buses which carry employees from San Francisco to their out-of-town headquarters after a series of possible attacks broke the vehicles’ windows in the past week. Due to recent incidents of broken windows along the commute route, specifically on highway 280, we’re re-routing coaches for the time being. This change in routes could mean an additional 30-45 minutes of commute time in each direction for some riders. As always, the safety of our employees is our first priority. We’re working closely with law enforcement to investigate these incidents and we’ll notify you as soon as the coaches are able to return to the regular route. Thank you for your patience and understanding. Per TechCrunch, the damage has occurred to at least five Apple buses traveling “off Highway 280 near Woodside, California” between San Francisco and its compound in Cupertino, seemingly ruling out the possibility it was somehow accidental. According to SFGate, at least one Google bus suffered similar damage. According to Mashable, California Highway Patrol Officer Art Montiel confirmed that the agency was investigating reports of an “unknown object” impacting shuttle windows, though he did not provide additional information. Police told the San Francisco Examiner that the buses lack any company-specific logos, though other reports indicated no attacks on other bus services like Greyhound. “It appears that they’re going after the unmarked tech buses,” Montiel told SFGate. It’s possible this is some kind of extremely ill-advised and dangerous attempt to fight back against Silicon Valley overlords by busting bus windows. But the reality is that the motive remains totally unclear at this point—and it’s really just luck that no one has been hurt.